A frequent reason for revision surgery after total knee arthroplasty (TKA) and unicompartmental knee arthroplasty (UKA) is periprosthetic joint infection (PJI). The efficacy of intrawound VP in preventing PJI after primary TKA or UKA is rarely reported. 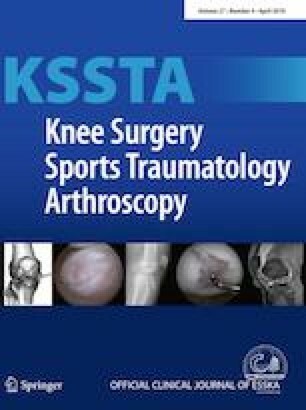 The purpose of this study was to investigate the efficacy and side effects of local high-dose VP application to the joint to prevent PJI in TKA and UKA. From 2010 to 2017, 166 consecutive patients that underwent primary TKA or UKA were enrolled. Seventy-five patients (92 knees) did not receive VP (control group), while 90 patients (110 knees, VP group) received VP (intrawound, 1 g) before capsule closure during TKA and UKA. Aseptic wound complications, such as skin erosion, wound dehiscence, and prolonged wound healing, were evaluated within 3 months post-operatively. PJI was assessed within a year post-operatively. Seven patients (7.6%) in the control group and five patients (4.5%) in the VP group had PJI. No significant differences existed in the PJI rates between the groups. Aseptic operative wound complications occurred in 4 patients (4.3%) and 13 patients (11.8%), whereas prolonged operative wound healing occurred in 3 patients (3.3%) and 14 patients (12.7%) of patients in the control and VP group, respectively. Operative wound complications were significantly frequent in the VP group. Intrawound VP administration does not decrease PJI occurrence in primary TKA and significantly causes aseptic wound complications. The use of intrawound VP for the prevention of PJI after primary TKA and UKA is not recommended. We would like to thank Eisaku Okada who is a statistician for his help of calculation of statistical analysis. This study was not externally funded. The study was approved by the ethics committee of Hamamatsu University School of Medicine (No. 18-283).